Run a truly Live Business with S/4HANA – an In-Memory ERP Suite that acts as the “Digital Core” of your entire enterprise. 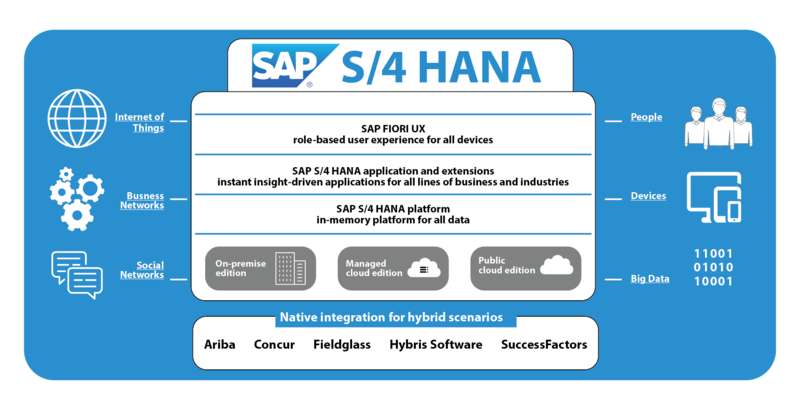 S/4HANA is a Real-Time ERP suite for Digital Business. It is built on SAP Advanced In-Memory Platform, SAP HANA, and offers a personalized, consumer-grade user experience with SAP Fiori. S/4HANA is Intelligent – going beyond automation to provide Predictive Suggestions. 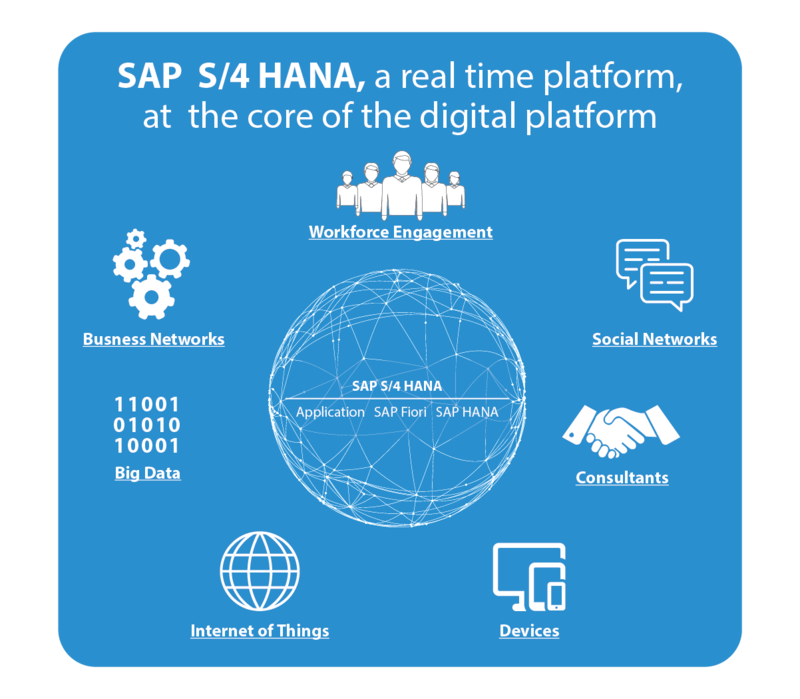 S/4HANA supports the Internet of Things (IoT), Big Data, Real-Time Analytics, Mobile. Deployable in the Cloud or On-Premise. We offer implementation services for new customers on S/4HANA (On-Premise & On-Cloud) covering Licensing support, Installation, Back-up, Disaster Recovery (DR). Fiori deployment and enablement, SAP HANA Live deployment and Adoption. 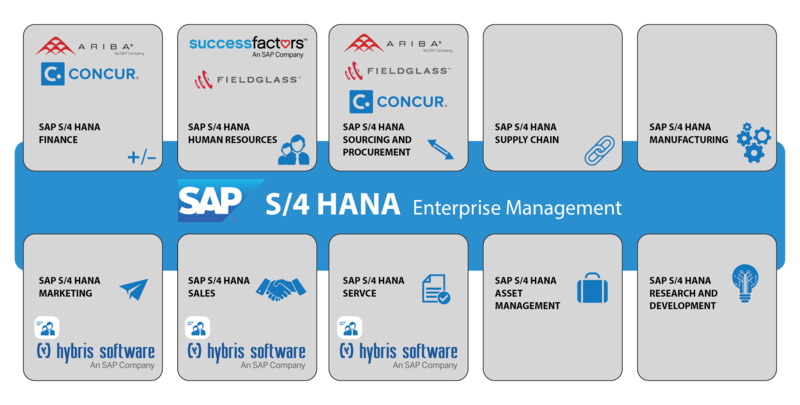 Integration with solution like ARIBA, SuccessFactor, C4C. We offer services for upgrade / migration to S/4HANA covering Data Base Migration and the installation of S/4HANA along with other deployment services. We offer post implementation and migration support for S/4HANA covering Patch Upgrade, Monitoring and Landscape Optimization. We offer consulting services to define the roadmap for S/4HANA Implementation or Migration, best suited for your business.